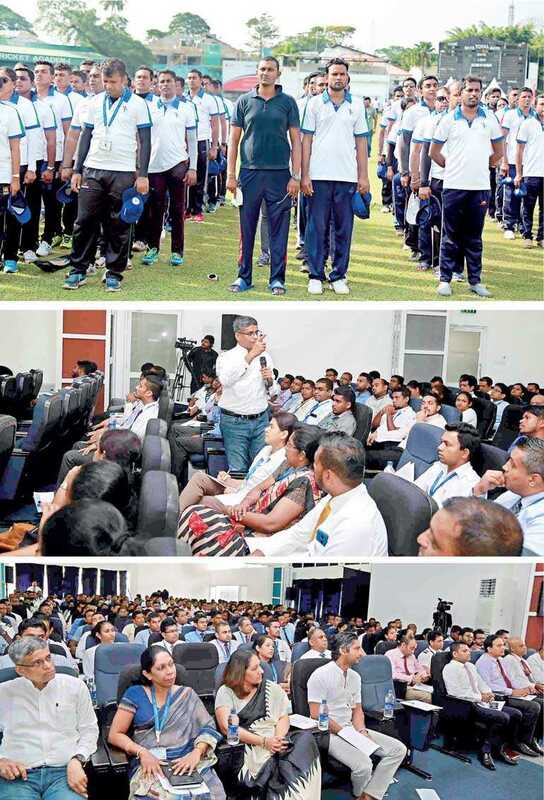 Spearheading the turnaround efforts of SriLankan Airlines, the HR Division of the Airline has launched a series of employee engagement initiatives which seek to integrate the employees towards the mission of making the national carrier profitable again. The Airline has recognised the importance of possessing a driven, committed and motivated workforce as it draws blueprints to become a profitable entity. At the core of these employee engagement initiatives is the launch of ‘UL 1st’ theme which was conceptualised with a vision to inculcate a culture where employees are advocated to always prioritise the Company. The employees are encouraged to shed self-centred motives and work towards a common goal which is to make the Airline profitable again. The ideology behind the ‘UL 1st’ Theme was imparted through a team based campaign titled, ‘UL 1st Team Challenge’ where sport was taken as a vehicle to propagate company values which are ‘Leadership, Creativity, Accountability, Proactiveness and Diligence’. The employees were encouraged to drive ‘change’ through a change of attitude as the initiative sought to attune the minds of employees to practice the ‘Me to Company’ attitude where the Airline’s mission is always be prioritised. Whilst emphasising that employees are the driving force that fuels change, the program also focused on building self-belief in employees that turnaround is possible. The ‘UL 1st Team Challenge’ invited employees across the company to be a part of an Interdepartmental Leadership Building Programme which also focused on enhancing employee engagement, staff interaction, strengthening the bond between employees and developing a team centric work environment whilst creating awareness and imparting essentials of the UL 1st philosophy. The campaign was segmented into three phases. As the initial phase of the campaign, the employees were asked to generate ideas which would contribute towards the turnaround efforts of the Company. This was followed by a learning programme which was conducted to inspire employees towards embracing the ideals of the ‘UL 1st Theme’. 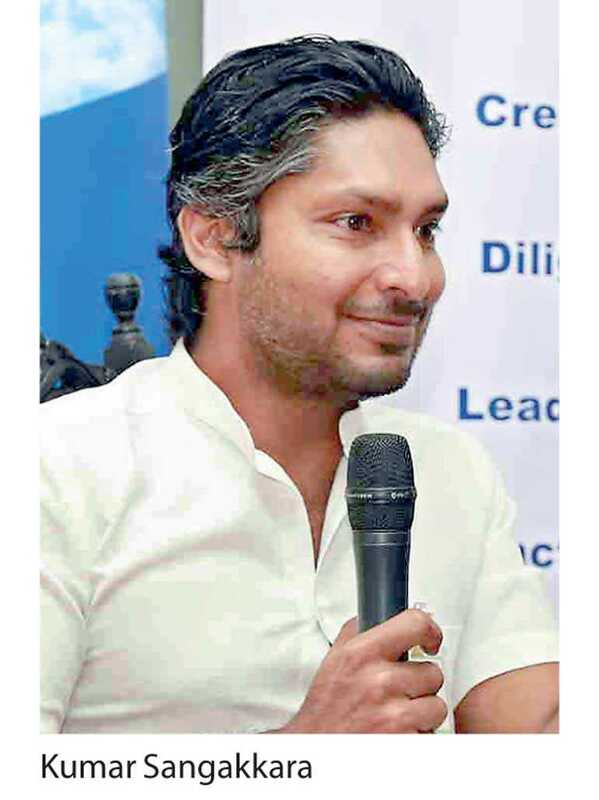 The event marked a day of inspiration for the employees as the cricketing legend, Kumar Sangakkara and the motivational speaker Deepal Sooriyarachchi visited the Airline and shared their thoughts on developing the willpower required to tackle adversity. As the third stage, an interdepartmental cricket tournament was held where learnings of the training program were put to practice. Thereafter, the ‘UL 1st Turnaround Challenge’ was launched, focusing on converting the ideas generated through ‘UL 1st Team Challenge’ into workable proposals. The Companywide initiative which is currently underway invites employees across the Company to submit proposals that could contribute towards reducing the Airline’s losses, enhancing revenue and driving the Airline towards profitability. In addition to the aforementioned initiatives, the Airline has a number of other initiatives which have been launched to enhance and boost staff motivation. An employee recognition programme titled ‘Varna’ is in place to commend and honour the efforts of exceptional employees who go beyond the call of duty to add value to the organisation. Enabling free communication between the management and employees, an ‘HR Open Day’ is also in place where employees are given a platform to raise their concerns and resolve issues by reaching out to management. A Staff Feedback System has also been implemented to give due prominence to the thoughts of the employees and improve the operational functions of the Airline. The Airline will also open an Employee Assistance Centre in August, offering free counselling service to staff who need assistance to cope with the stress and rigours of office life. An ‘Art and Culture’ is also expected to be launched to create a platform where employees can relieve the strains of their office routine and explore their creative talents. SriLankan Airline was recognised last year as the best in Sri Lanka for employee engagement, as the Airline won the coveted, ‘Gold Award’ for the ‘Best Employee Engagement Initiatives’ at the National Human Capital Management Awards in the open category where the Airline competed with a number of private and public corporate entities.